Suri Cruise birthday: Jamie Foxx to replace Tom Cruise as Suri's father? Katie Holmes and Jamie Foxx were spotted together just before Suri Cruise's 13th birthday. Katie Holmes and Jamie Foxx were recently spotted together before Suri Cruise's 13th birthday. Katie and Jamie are reportedly not rushing into this relationship but as per a recent report, Jamie is considering to become Suri's new father. Katie Holmes was previously married to Tom Cruise. The teenager has always been a media favourite as her pictures are loved by millions. After Katie Holmes' divorce with Tom Cruise, there were reports about Suri Cruise's future but Katie took extremely good care of her daughter. Katie Holmes and Jamie Foxx have been in a secret relationship from a long time. The duo has never publicly admitted of seeing each other and even before their PDA surfaced online, these two always stated that they are nothing but friends. 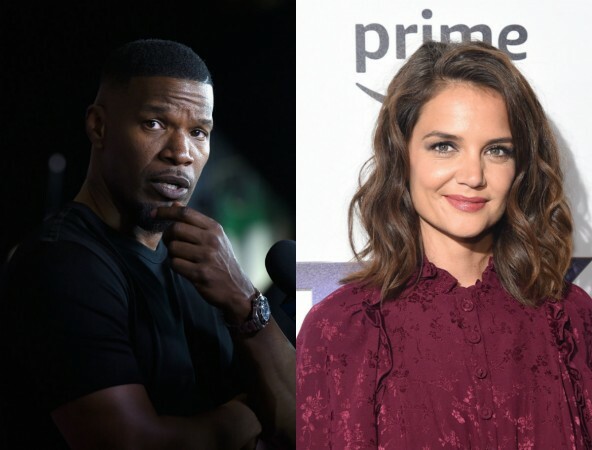 Back in 2018, several pictures of Katie Holmes hanging out with Jamie Foxx surfaced online. The Batman Begins movie actress also attended her beau's birthday and made many to believe that things are escalating quickly between the two. However, back in February, Jamie reportedly told a crowd that he is single. At the same time, he reportedly bought a huge mansion for his ex Kristin Grannis and their 10-year-old daughter Annalise. Right before Suri Cruise's 13th birthday party, Katie Holmes and Jamie Fox were spotted putting a rare PDA and all the breakup rumours to rest. As per the latest report by RadarOnline, Foxx is reportedly trying to fill the shoes' of Suri's long-absent father. As we all know, ever since the divorce, Tom Cruise has not been in touch with Suri. As per the divorce settlement, the Mission Impossible movie star is allowed to visit his daughter 10 days a month but reportedly, he has not been photographed with her since 2013. The young girl is being raised by Katie alone and reportedly, Jamie told the teenager that, "I'm your daddy now!" Katie Holmes and Jamie Foxx have not provided an update on their relationship. The alleged couple is reportedly trying not to rush into anything and currently focusing on their respective work. More information about Suri Cruise's birthday party will be revealed in just a couple of days. It would be interesting to see if Jamie would attend the party.